My Little Magazine: Thought for the Day: To Choose or Not To! We always have a choice. Whatever, whenever, wherever, we always have a choice! It is our choice that makes us who we have been; it is our choice that makes us who we are; it is our choice that makes us who we want to be. Our choice is our greatest strength as well as our greatest weakness. A choice can make or break a life; a choice can make or break a nation. A choice can make us realise our destiny. That’s why I emphasise on the fact that we always have a choice. The choice between right and wrong; the choice between good and evil; the choice between you and me! It is our choice that defines our life at every point. 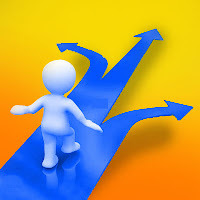 It is not an easy task, but then again we have a choice: to simply make a choice or not to. Crisp and beautiful. Loved your Economy of Expression.